You are currently browsing the Archaeofacts.com archives of Musings for the day Saturday, November 17th, 2018. I found the sky delightful today, and kept sending my eyes up. 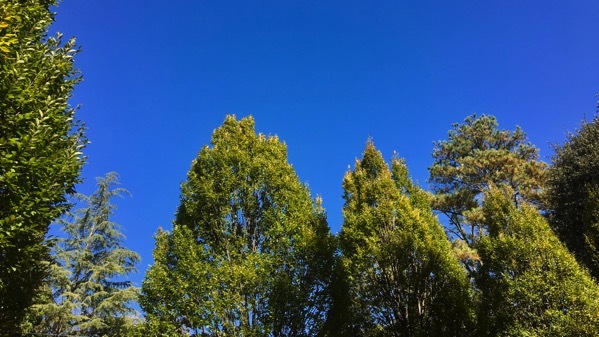 Mixture of tree species…. 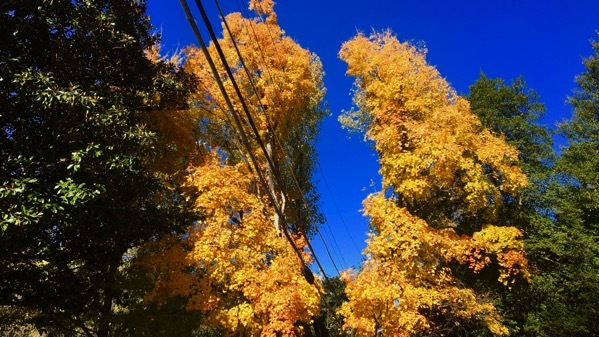 One glorious golden-leaved tree, bisected by power lines (and other lines)…. 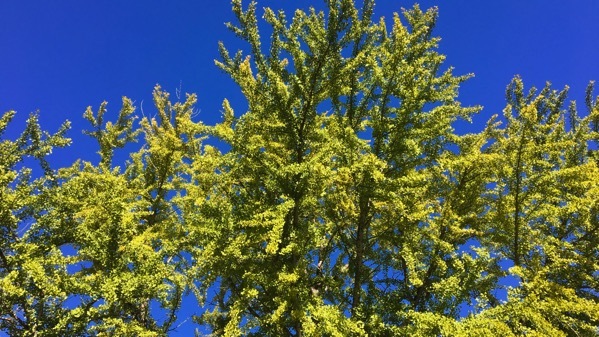 Male ginkgo, just beginning to shade from green toward yellow tones….